Nune and David had a very specific look in mind, clean, modern and elegant in a blush palette. They got married in a gorgeous Greek orthodox church and had their reception at the Vermont National Country Club which added to the overall refined feel. 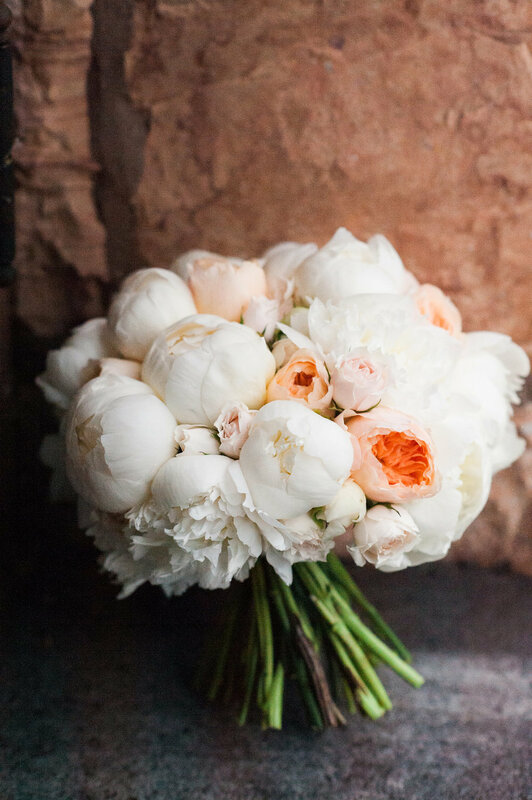 The flowers were closely clustered, and all peonies, garden and branch roses, ranunculus, and astilbe.